DESCRIPTION: Our waterproof boot, the ATAC Storm, provides lightweight comfort and keeps your feet dry. A side zipper makes it easier to get your boots on and off. Not only is our High Performance Waterproof System waterproof and breathable, it is resistant to bloodborne pathogens. 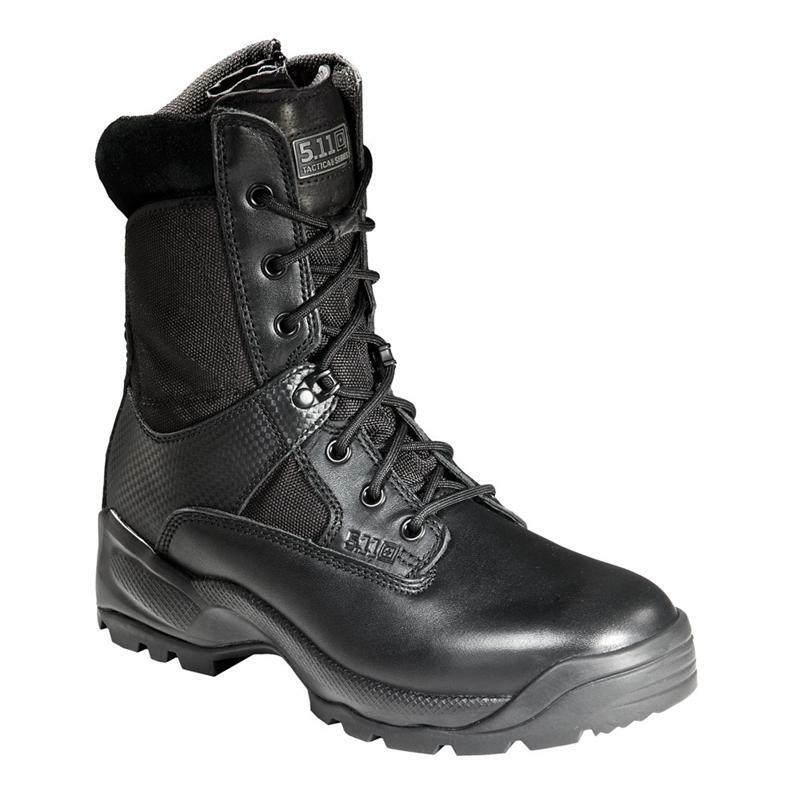 You also get our hidden side pocket, Shock Mitigation System and other 5.11 original footwear features. Imported.